Marketing is everything from the customer's point of view (Peter Drucker) The Entrepreneurial Marketing module is built upon the entrepreneurial marketing theory and University Extension practices in urban communities. Option 1. 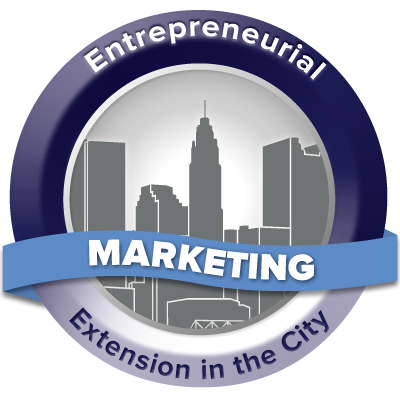 The Entrepreneurial Marketing Introductory Guide addresses the rapidly changing landscape in urban areas throughout the country. Innovation is essential for cities and for universities. Awareness of entrepreneurial marketing context. Knowledge of marketing and communication competencies as you represent yourself and Extension in the City. Ability of engage in the flow of communications with internal and external audiences.